I often wonder how other authors started out and what tools they used to organize their writing. After doing some initial research and reading articles about which software is better for what purpose etc., I set my path out before me. Between my Mac, iPhone and iPad, I’ve assembled a suite of tools that help me get the writing out. This easy-to-use word processing collection of apps uses the Apple cloud to sync text between my mac and iOS devices. 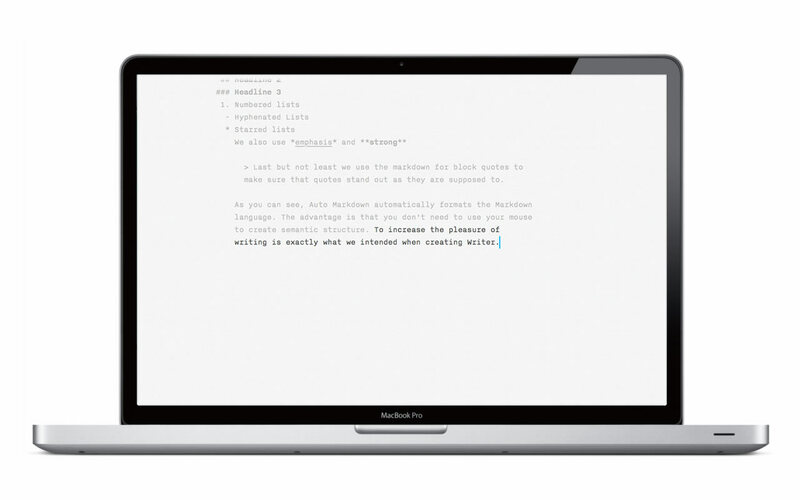 It has a very simple interface (an off-white screen, one font, dark gray text) that lets you focus on writing and nothing else. It’s limited on purpose so that you can focus on the greatest task: writing. I really like this. I create all my drafts in IA Writer first. This is a new tool I’ve recently put back into my tool box. With Dragon, I can quickly dictate thoughts, a premise, a scene in my head, and have it transcribed into editable text for me. Once that’s done, I email it to my Evernote account for later editing. Once a draft is complete on IA Writer, I copy and paste the text into a document that I can edit and format the text properly. Collaboration is a wonderful thing. When I need something reviewed, I drop a document it into a special folder I’ve shared out with friends for editing and commentary. Their feedback has been very helpful so far. I do not store my stories on Google Drive, however. There’s enough controversy about whether Google has access to text, can use the text, or even owns the text. So I keep it on Drive only as long as it needs to be. Once it’s been edited, reviewed, and finalized, I pull the text off and paste it into an Evernote note where it waits until I’m ready to distribute it. I also place a backup copy on Dropbox for safe keeping. Evernote is an amazing app for collecting all kinds of things. It’s the modern-day, online version of the popular Trapper Keeper we used back in grade school in the 80’s. 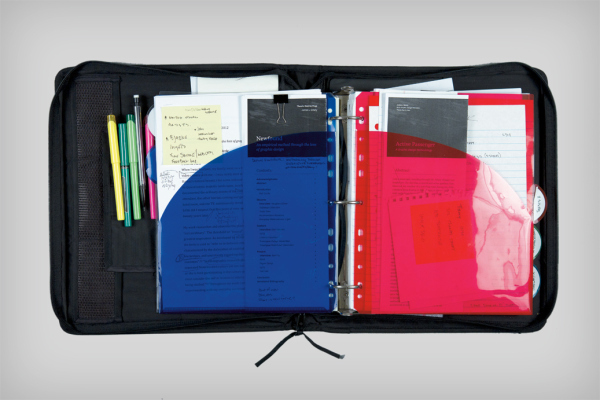 Instead of the mess pictured at right, Evernote lets you create notes, notebooks, and notebook stacks to keep things organized and within reach. I keep reference and resource notes for every writing project I embark on, and I keep my ready-to-publish drafts here. I used the social media services – like WordPress here – to share about the progress I’m making with my writing projects. I also network with other writers of the same genre and watch what they do and learn from the best and the established. There are some blogs I follow, and several books in my wish list that I want to read to continue developing my craft.